Targeted vs. Shotgun approach- Which one works better for networking events? He was excited about attending Entrefair* a popular entrepreneurship conference — to grow his biz. Alex was confident that by attending the event, meaningful business relationships would be born. For the event was far too diverse, and without a purpose or a cause! And yet, what did all this mean? A facebook check-in; yet another event to which he had been! Creating meaningful relationships is every entrepreneur’s dream; networking at popular events paves way to it. And yet, most event organizers fall short of creating the right mix of activities to make an event more purposeful for these entrepreneurs, or more generally, the event audience. It all starts with targeting specific audience. Who should attend this conference? Once you (as an organizer) find the answer to this question, you should consider ‘what’ might be relevant for this audience; the next step involves finding the right people to address this need. Many times, event organizers start backwards- finding interested speakers, and then trying to fit as many people as possible in the audience. This often leads to ‘ostentatious’ shows that lack the specificity meant to create significant impact for the entrepreneur(s). Clubbing a sector like ‘agriculture’ with ‘sports/gaming’ is not the best use of an entrepreneur’s time. The same thing goes with having a ‘non-tech/ business’ audience in a coding related show. If you find yourself putting together an event like this (and sometimes this happens when critical mass of audience is not achieved) you may want to consider segmenting by the audience’s interest, and splitting the group into their respective shows. This way, an event can directly address the needs of the audience. If you have been to events, you are probably aware of the umpteen marketing brochures that come along with the kit- how many of them are actually stick enough? It is often a good approach to tailor the ads/ sponsorship to suit the audience type. For instance, why would a ‘water pump manufacturer’ ad make sense in a Digital Marketing event? It is also important to encourage certain quality standards (without restricting creativity) when it comes to advertising at an event. For instance, would you want to restrict the number of words to 100 in the ad? Would you want to encourage more image based ads than textual ones? Ending a show with a tagline/ punchline that recapitulates the important points often creates a long-lasting impact. Ending a show- especially a day-long show- without taglines often leaves the audience with too many disconnected/ random thoughts. Events are unique; so is the audience. Think about these points; discern and choose the relevant ones while hosting your event. Afterall, am event is not all about buzz and show- often, it’s about the impact! 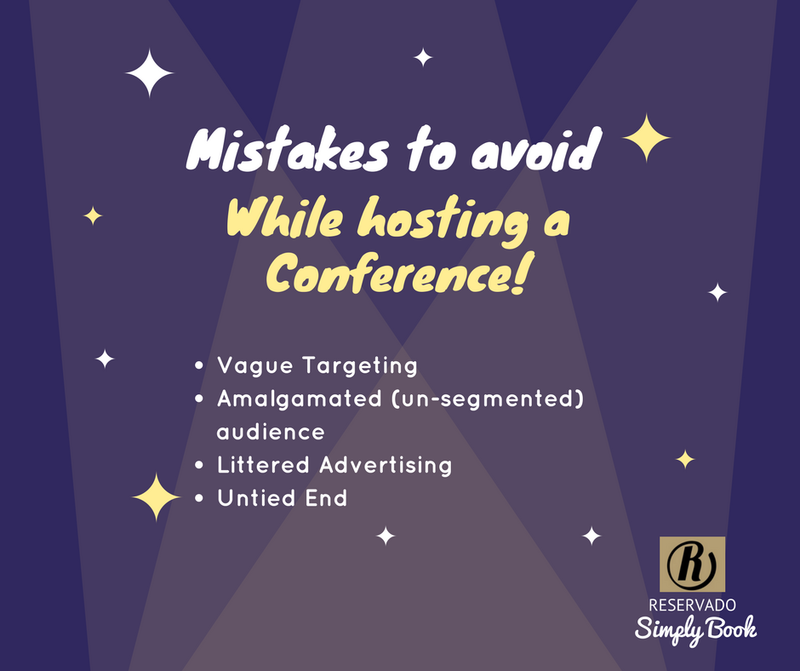 Are you hosting/ organizing a conference? Do you want to look for interesting venues?